Explore the sights and senses of the TreeCasa campus, nestled within 450 beautifully crafted acres of the El Encanto del Sur community on the Emerald Coast of Nicaragua. 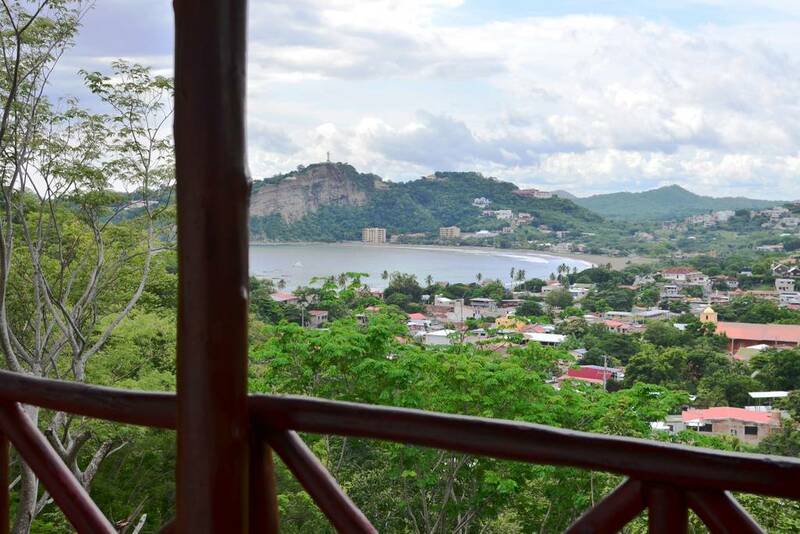 TreeCasa offers jaw dropping landscapes, pristine nature, and spectacular beaches, Nicaragua takes you off the well trodden path, offering hidden gems in every courtyard, volcano, lake, and shoreline. ​Set inside the 450 acres of El Encanto, TreeCasa offers unparalleled activities to feed the mind, body, and soul. Miles of new trails call out to mountain bikers and hikers, and their stable of horses await sunset riders. Bring your yoga practice to new heights in one of their tree lounges, and get a relaxing massage after a day of surfing. Inquire about the regularly scheduled farm-to-table cooking classes where you can pick what you'll cook that day, and of course there's the water slide, which everyone must try at least once. ​Building a resort in harmony with the natural landscape provides opportunities for truly beautiful architecture. Using native hardwoods for the furniture and decor also brings a welcoming warmth into each suite. Between these charming living spaces they are growing fruit trees for the restaurant and for guests to enjoy while they walk to the pool. Each room comes is elegantly furnished with artisan crafted tables, couches and chairs, and includes a spacious deck with hammock. ​Our restaurant, bar, pool and the Tree Lounge are just a couple minutes walk from any room, and each guest will have access to free shuttles into town. ​The "Casa Arbol" is the pinnacle of accommodation at TreeCasa, a stunning 2-story feat of engineering and imagination perched in the sky. The expansive first level opens into a large living area, kitchenette, full bath with outdoor shower and a wraparound deck. ​The second level features a master bedroom suite with a double outdoor shower and upper balcony. Enjoy open-air showers surrounded by pink ceiba blossoms in the morning and drinks on your spacious balcony at night. The Treehouse can accommodate up to four guests. 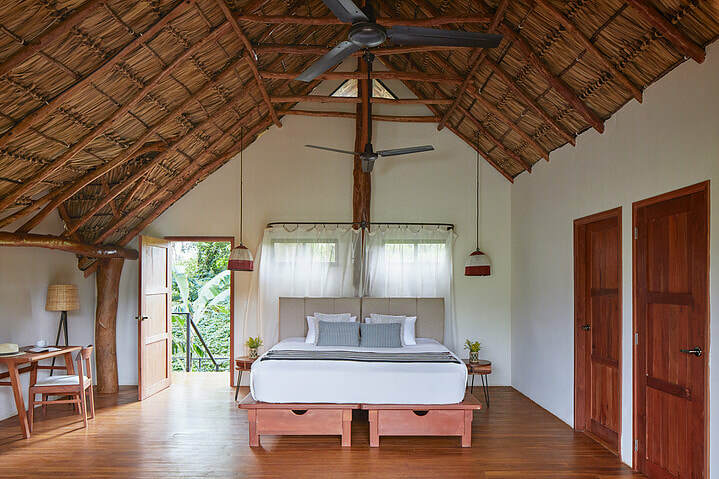 In every Canopy Suite, you will find furniture carved from local hardwoods and bathrooms lined with white stone. Spacious decks come equipped with hammocks for relaxing views of the forested hillsides surrounding the resort. 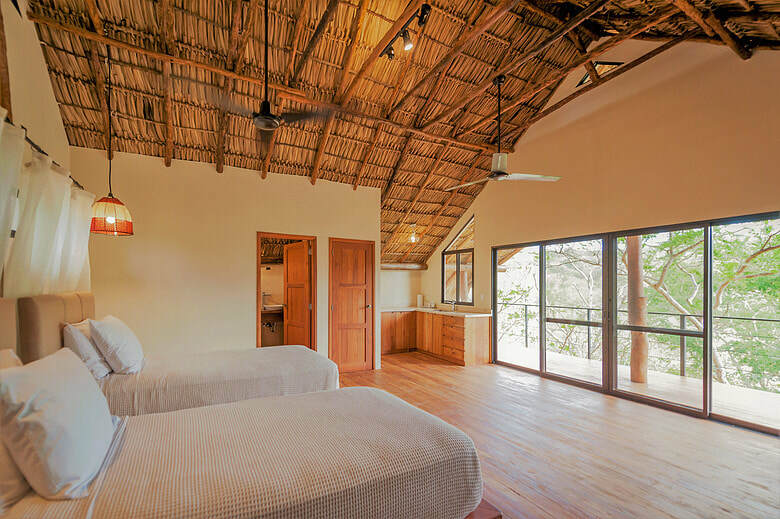 ​Each suite can accommodate up to two guests with either one king, or two twin beds - all under a traditional thatch roof.